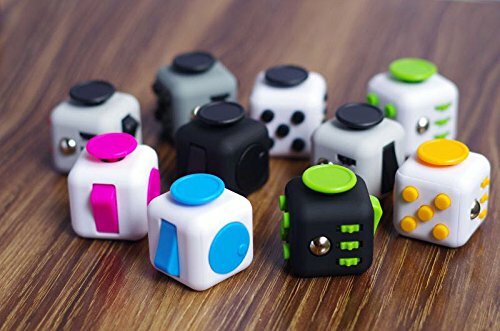 Say Goodbye to Stress and Anxiety Once and for All with the Only, Authentic Fidget Cube Toy by Fiddle Blox! Do you often feel over-stressed, worried or perhaps thinking incessantly?Would you like to be able to calm down and relax in seconds, so that you can focus on the task at hand?If yes, then this is exactly what you’re looking for! 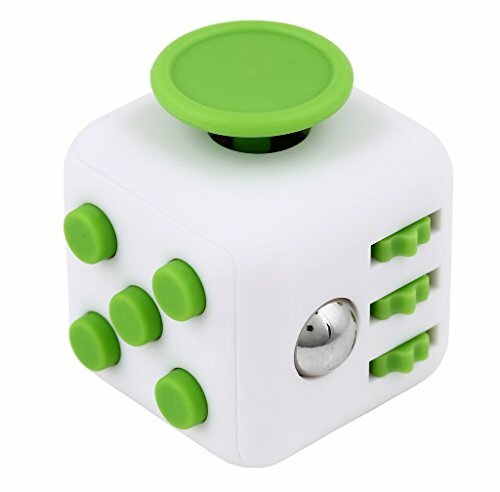 Introducing the Ultimate Fidget Cube Sensory Hand Toy – Your Instant Solution to Stress and Anxiety! If you often find yourself biting your nails or lighting up another cigarette just to release pent up energy or avoid stressful thoughts, then you’ll love this impressive fidgeting game! With 6 different features, one on each side, this small cube toy will let you click, flip, glide, roll and spin your worries away! Take It with You Anywhere! Thanks to its lightweight, mini design and discreet sounds, this fidget toy fits easily in the palm of your hand or your pocket and carries everywhere, from the school to the office or while you’re on the go! Or why not use it for when you’re studying on your desk to help you concentrate better and relieve stress in just seconds? 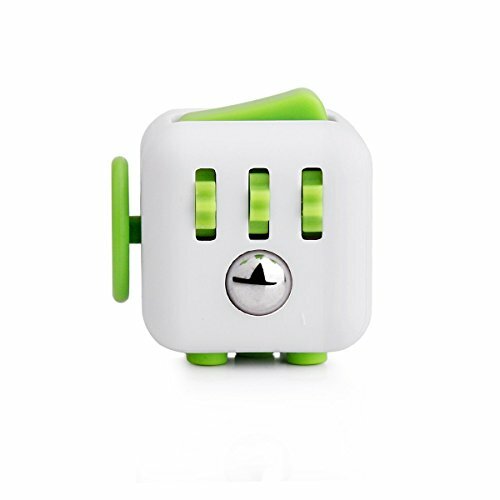 An excellent therapy tool for ADD, ADHD, Autism and OCD, this fidget cube is the perfect gadget for kids and adults! 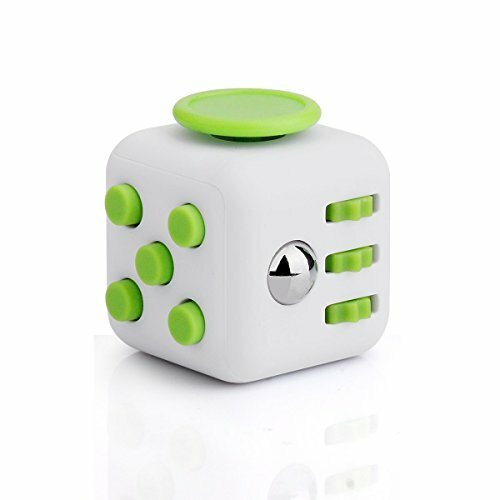 Get It Risk-Free!FLIP & CLICK YOUR ANXIETY AWAY: With 6 different addictive features, this amazing fidget cube toy will combat stress and give you something fun to do when anxiety starts kicking in. Click, spin, flip, glide and roll wherever you are and say goodbye to stress! TAKE IT WITH YOU ANYWHERE: Perfect for the home, school or work, this fun fidget toy will help you quit nail biting or even stop smoking and help you focus your mind on the task at hand. Small and with discreet sounds, this stress relief toy fits in your pocket and carries everywhere! 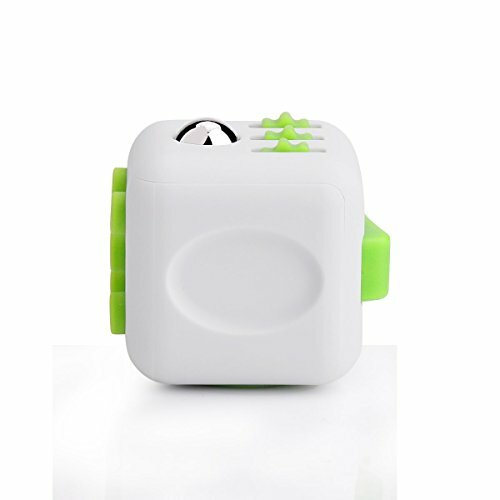 GET THE ORIGINAL FIDDLE BLOX FIDGET CUBE: Avoid cheap knockoffs of sensory toys that break or fall apart after the first few days of use and equip yourself with the ultimate, 100% original anxiety toy that is made to last! Made with extra durable, non-plastic silicone, this premium hand fiddle toy won’t let you down. A GIFT YOUR FRIENDS WILL THANK YOU FOR: Ideal for highly stressed individuals, such as studying students and top executives, teens and people with Autism, ADHD, ADD and OCD disorders, this is a must-have hand fidget that is actually backed by science!